In case you’re new to this planet, here’s what’s going on: Emmy winner Sarah Paulson is literally the embodiment of sunshine and happiness. 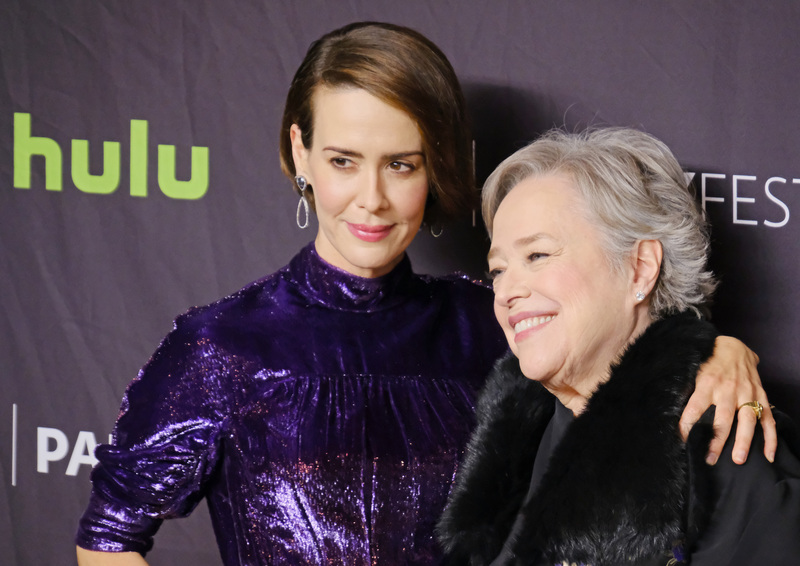 Her sheer radiance is only made brighter when she’s in the company of widely celebrated national treasure, Kathy Bates. Now that you’re up to speed, the two blessed the PaleyFest stage together for American Horror Story: Roanoke, and it didn’t take long for The Sarah and Kathy Show to begin. Not that we’re complaining. Their banter started off innocent enough, with the two teasing each other, whispering back and forth, and just having a good time. Eventually, that led to Sarah launching into a Kathy Bates impression that is SO GOOD it will probably EGOT. As Sarah explained to the crowd, for Season 6 of AHS, Sarah and Kathy actually shared a trailer. That meant that they were only separated by a thin wall. This was good news for Sarah, bad news for Kathy: Kathy, trying to get into ~character~ as the undead Butcher for Roanoke, started practicing her accent aloud, and Sarah could hear everything. "I'd put a cup against [the wall], and I'd hear, 'the blood, the BLOOD, THE BLOOD," Sarah explained to the crowd, much to Kathy's displeasure. "I had a [dialect] coach, and I [was working] on it!" Kathy shouts, trying to justify her crazy speaking.